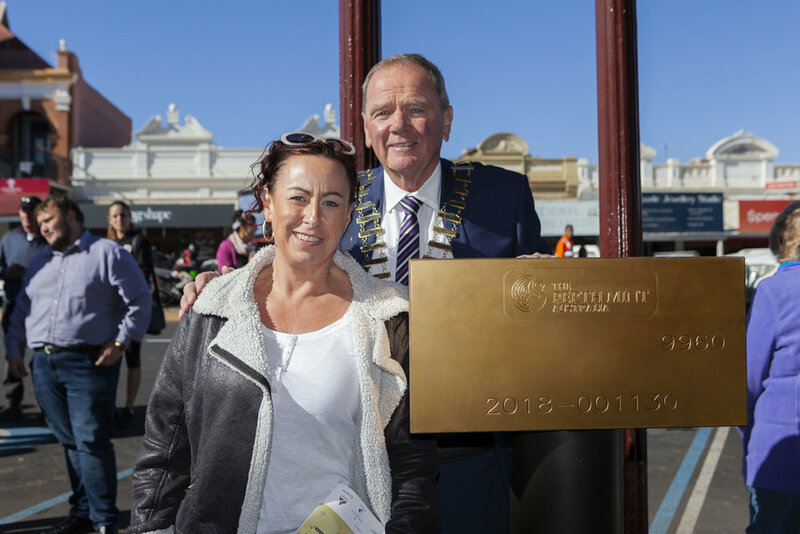 Following the successful launch of Australia's first virtual gold trail in Perth in 2017, comes the launch of Kalgoorlie's own #heartofgold Discovery Trail. Embark on an interactive gold adventure like no other, as you travel through time and discover the city's golden secrets. Unearth the world class operations of today and the early gold rushes that transformed Western Australia with augmented reality games, remarkable audio stories and videos, fun widgets and timeless photos via the free Heart of Gold Australia app. Starting your journey from a Gold Bar replica outside Market Arcade, the treasure trail will uncover 11 locations of significance throughout the city, ending at the Museum of the Goldfields. The 2km, self guided walking trail will excite and entertain people of all ages who visit the region, as they learn its golden story. Trailblazers will receive a commemorative #heartofgold medallion upon completion of the trail at the Museum of the Goldfields. Continue your journey by exploring the region further at 15 points of interests on the app. Download the free heart of gold australia app from your itunes or google play store now! We encourage teachers from year 5 to take their students on the trail as it combines learning with technology and the outdoors, offering a great option for a class excursion. Lessons plans linked to the Australian Curriculum have been developed in addition to the trails for years 4, 5, 7, 8 and year 9 students, however the trails will appeal to students from the age of 8 years. Travel to Western Australia's capital city to explore a city built on gold, on the Perth #heartofgold Discovery Trail.